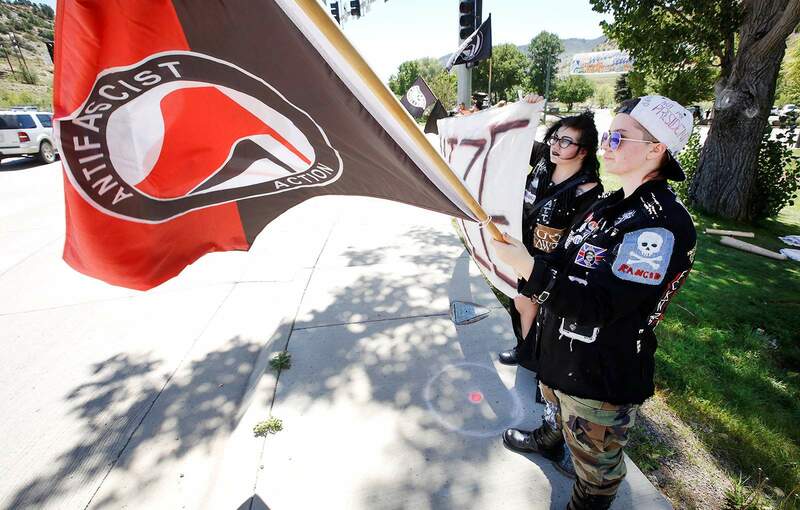 Eli Galloway, right, and Terra Geoens take part in a rally Friday afternoon at the intersection of U.S. Highway 550/160 and Santa Rita Drive. About 30 people showed up for the rally put on by the Durango Peace and Justice Coalition to show solidarity with the Antifa political movement and to oppose racism. “We want people to know that Durango is a place where racism and anti-semitism is not welcome,” said Fort Lewis College assistant professor Anthony Nocella.